It's hot here in the Hudson River Valley. And dry, too. We have had very little rain. Most of the lawns in our village look more like straw than grass. No matter how much watering one does, it's never enough. This past weekend saw the return of sunflowers to the farmers market in the nearby town. To celebrate a visit to Darlington House by Boy's assistant designer, Nancie Peterson, and their summer intern, Lilly Danforth, Boy filled the house with flowers. I was particularly taken with this arrangement of sunflowers he made in a salt-glazed earthenware crock on our kitchen table. Reggie, is there anything you don't collect? Love the sunflowers, but love the container more. I haven't been reading here long enough to have seen a room by room tour of Darlington House, but I hope you will choose to give your readers one again soon. I thoroughly enjoy my reads at Reggie Darling. I picked up two bunches of sunflowers at the farmers' market yesterday, one of large flowerheads and the other smaller. I put them in a huge silver water pitcher. I'll post some pix. 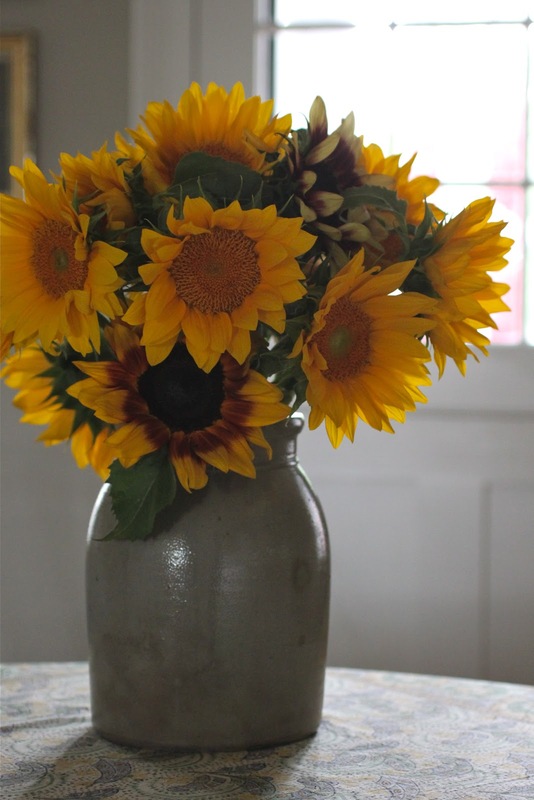 At first the rustic simplicity of the sunflowers makes us forget the sophistication of Darlington house, but the sophistication of the arrangement combined with the glaze and profile on the pot (especially those two thin bands at the bottom of the neck) reminds use where we are. good recipes. I would send you mine but I still use it on special occasions. Flowers are so refreshing in the summer. There are a lot of daylilies that have naturalized here, and they look great in crocks, too. Few things say welcome like fresh flowers, and few things say summer like sunflowers. Happy Summer! Completely lovely! At my 50th! and then again (Oh Lordy!) my 60th I just could not think of anything happier than sunflowers! and in the fields they are covered with bees! First summer that we have not planted a field of sunflowers. Miss all those big yellow blooms following the sun. Need rain in South Georgia. 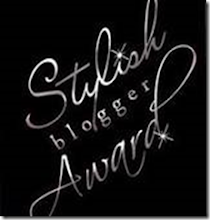 Love your arrangement and your blog. I love the crock. I grew up on my family farm in WV. Nothing had been thrown away for decades. The attic had several 25 and 30-gallon stone jars (as my father called them---they were made of crockery and were round, but had straight sides) with wooden lids. They were used to keep the flour and sugar supply safe from vermin. The flour was used every day for breads and desserts, so needed to be in great supply. The sugar was also used for canning fruits. All this was before my time. Also there was my grandmother's stoneware churn. And there was a plentiful supply of what can only be described as crockery moonshine jugs, several of which I have (along with some of the smaller stone jars and the churn) and with which my partner still isn't OK. So they're in our basement, awaiting his reconciliation with their actual use as vessels for many different liquids, as opposed to the association with hillbillies and moonshine. Stoneware is collectible now, but decades ago it was the least expensive way to store things. Oh lucky you, I'm living in a wetland just now, the garden is velvety but overrun by weeds. Sunflowers are the prozac of the botany world.